That's a ruby parallel Johnson, emerald Pedroia and gold Upton... not too shabby! Verlander die cut! Awesome! 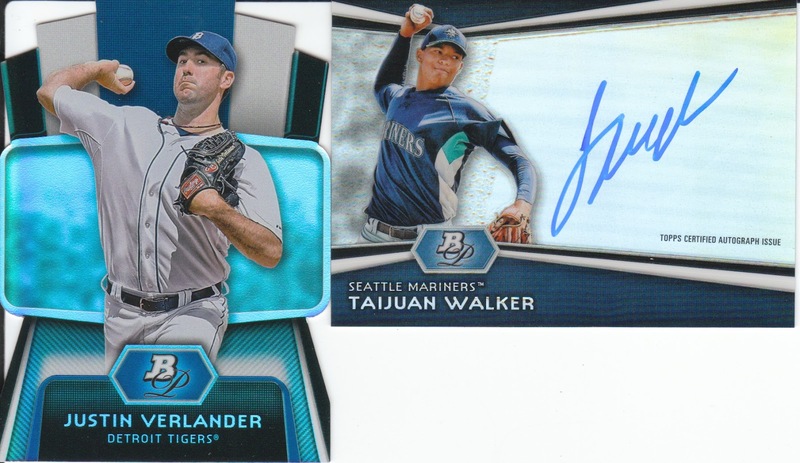 And can't complain with a 1st round draft pick autograph... alright Taijuan let's start dealin' a few no hitters and stuff! Haha! Will have a want list and very limited "duplicates" list prepared soon, I've been pretty lucky so far with a lack of duplicates! 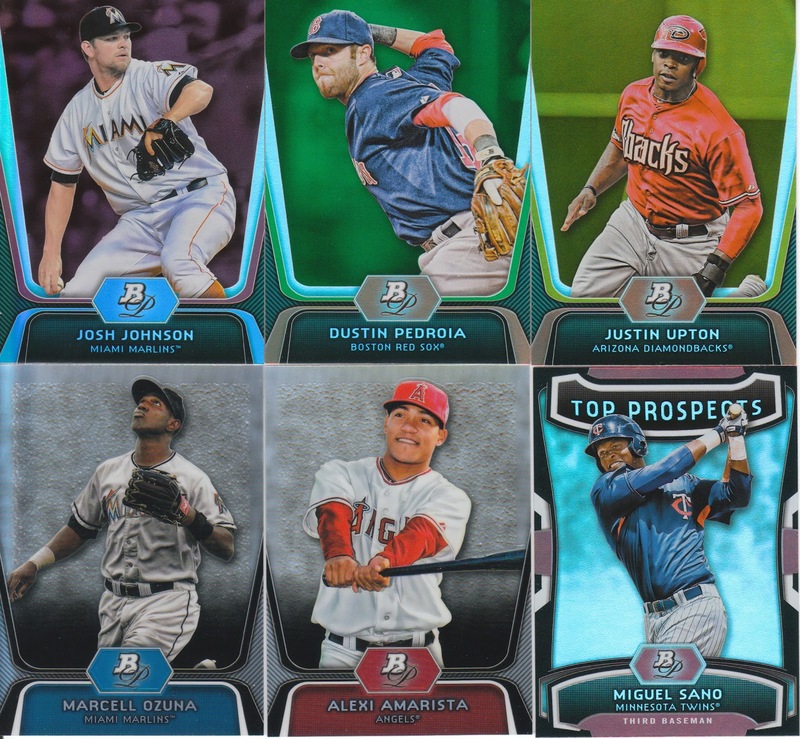 (UPDATE: Yea, so 3 blasters in, I only have 2 duplicates and those are the prospect section: BPP76 (Simmons) and BBP87 (Hellweg), so maybe there will be more dups for trade once I get my hobby box!). All the cards in this post are trade bait! 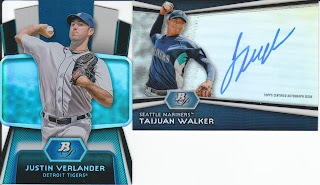 I would really enjoy the Verlander. If not gone we can work out the verlander ! posted this 30 seconds from recieving the Dimwit !! Still not fast enough !